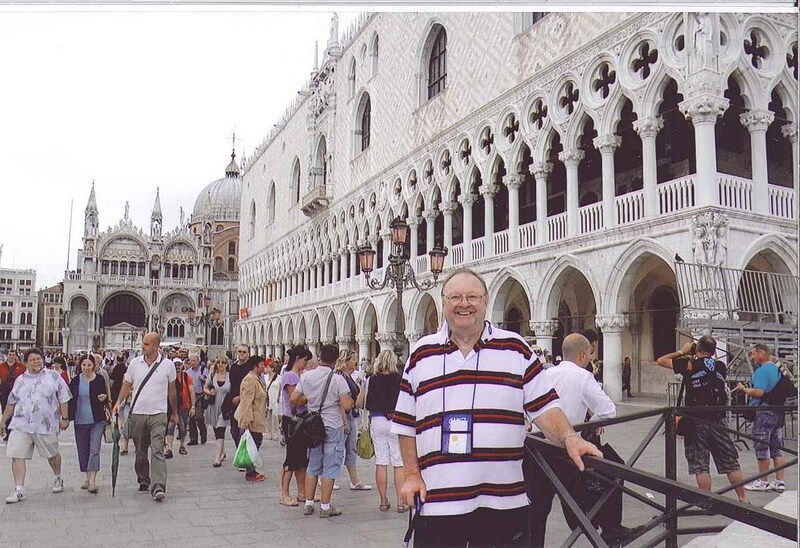 In the summer of 2011, Barney and Lea Wade traveled to Europe for the trip of a lifetime. Their journey began in Rome. The ornate artwork, detailed architecture, and old world charm swept them off their feet. A few highlightsincluded St. Peter’s Basilica, the Sistine Chapel and the Coliseum. The grandeur of the city made it difficult to pinpoint their favorite experiences. 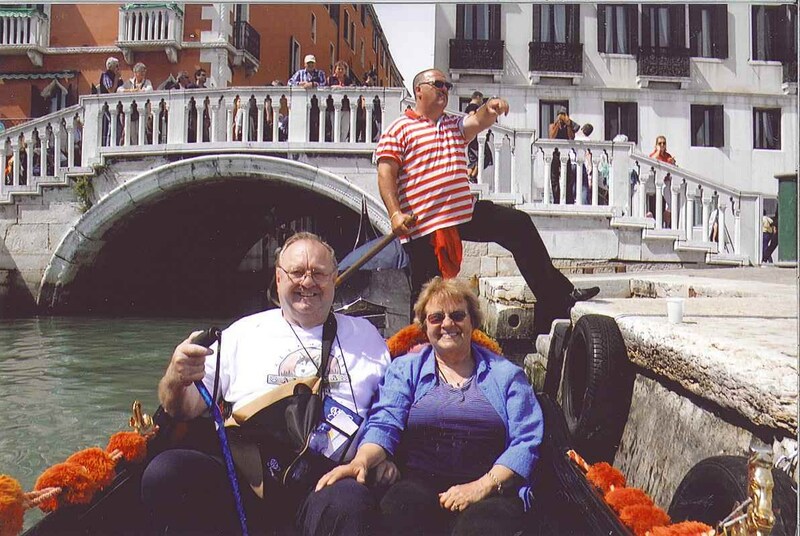 The next leg o f their journey took them to Venice where they enjoyed “water taxis” and gondola rides. When the tide was high, some buildings and areas of the street filled with water. There was not much greenery within the town but, as with Rome, the elaborate architecture was a highlight. While in Venice, the Wades traveled tothree islands; Lea particularly enjoyed visiting Murano Island, known for their beautiful glass production. From Venice, the Wades traveled to Belgium for a taste of Lea’s family history. Lea’s family is from the town Tielt. It happened to be a holiday when they visited, so it was difficult to fully experience the town. Lea was still able to find her ancestor’s name in the town archives and take numerous pictures. After visiting Tielt they enjoyed their stay in the historic city of Brugge. The Wades next flew to Edinburgh, Scotland where they met up with the Tauck Tour group. They thoroughly enjoyed touring one of the Queen’s official homes, the Edinburgh Castle. From Scotland, they traveled with the tour group to England and stopped to see the remains of Hadrian’s Wall. Another highlight of their journey was the time spent at Portmeirion, Wales. With its bright buildings and unique architecture, it is a common tourist favorite. While in England, the Wades were able to survey the rural beauty of Stratford-upon-Avon, the home of William Shakespeare. From here, they traveled to the ancient city of Bath. The rich Roman, Georgian and Victorian history was another favorite for the Wades. 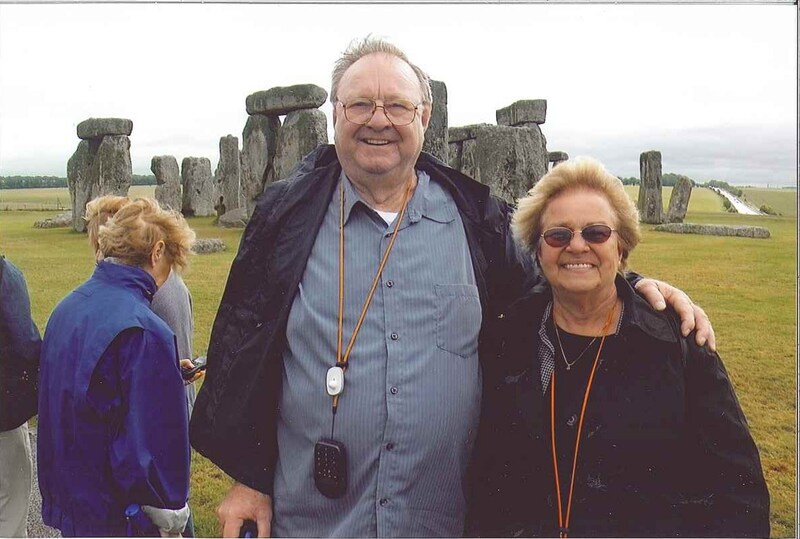 They were able to experience the monolithic stones of Stonehenge. The Wades were also visited Windsor Castle; the Queen’s other official residence. The final leg of the trip brought them to London where another memorable moment was visiting the majestic Westminster Abbey which dates back nearly one thousand years. Their trip wrapped up with a private dinner at the Tower of London with a 700 year old tradition called, Ceremony of the Keys. One of Lea’s favorite memories is the unique music played as entertainment during their final meal at the tower. ALWAYS keep a card with the phone number, name and address of your hotel for reference. Pack light- so much of the travel is on foot, but make sure to have both summer and winter clothing. Book any train travel ahead of time (RailEurope); reservation fees and time slots will be better if booked before leaving the US. Use a tour group when possible. The experience will be less stressful with a group to provide historical background for landmarks, help with luggage, and set touring schedules.